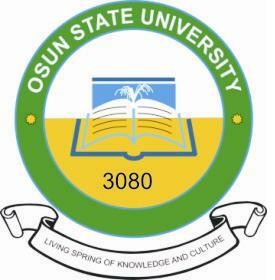 The Osun State University (UNIOSUN) 2013/2014 Pre-degree entrance examination date has been postponed. UNIOSUN pre-degree entrance examination was earlier scheduled to hold on Saturday, 2nd November, 2013. However, the authorities of the institution have fixed a new date for the entrance examination. UNIOSU pre-degree entrance examination has been re-scheduled to hold on Saturday November 16th, 2013.